Juan Piano Studio hosts two formal studio recitals each year at the beautiful FK Weyerhaeuser Auditorium at Landmark Center in downtown St. Paul (http://www.landmarkcenter.org). 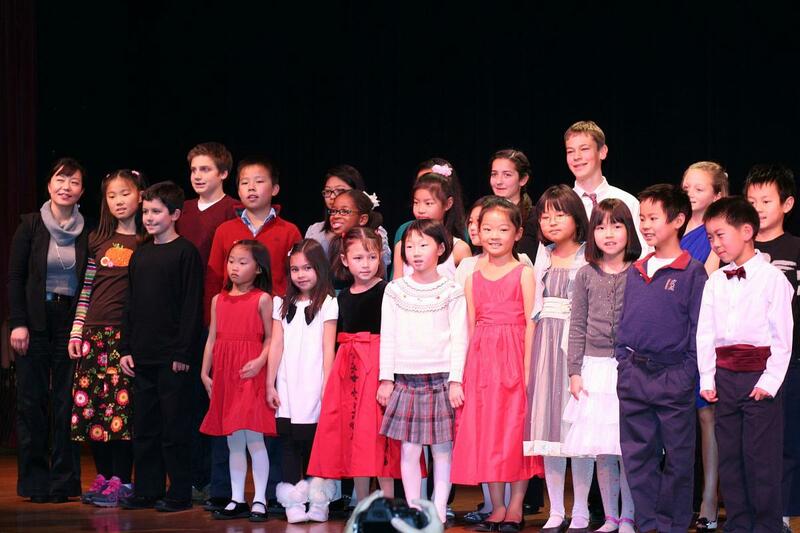 Its an excellent opportunity to hear all of the students of Juan Piano Studio to perform. The students and parents gain valuable experience playing, watching, learning and mingling. Please attend these important events and avoid arranging trips and other activities. A. Students and parents who participate in the recital must stay for the whole duration of the recital. If you have unavoidable conflict, you must inform me in advance to get permission. And you must leave between performances, NEVER during a performance. It is rude and disrespectful. B. 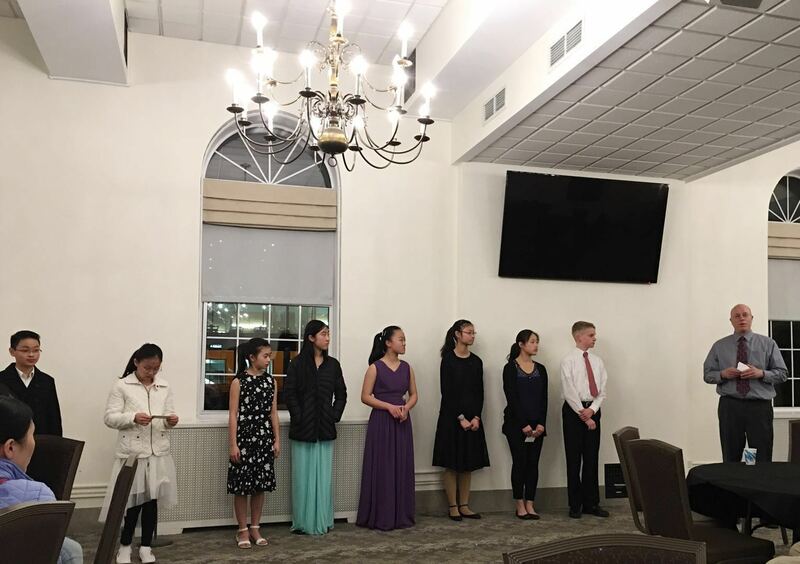 All student performers must wear proper recital attire, such as a skirt or a nice blouse with dress pants for girls and a suit or a formal shirt with dress pants for boys. C. No loud talking or running around is permitted during the recital. Quiet environment is essential for the students to focus on the performance. D. No children under 5 is allowed in the recital hall. E. You need to sign up once a year to contribute food ( 1 item) to the reception. 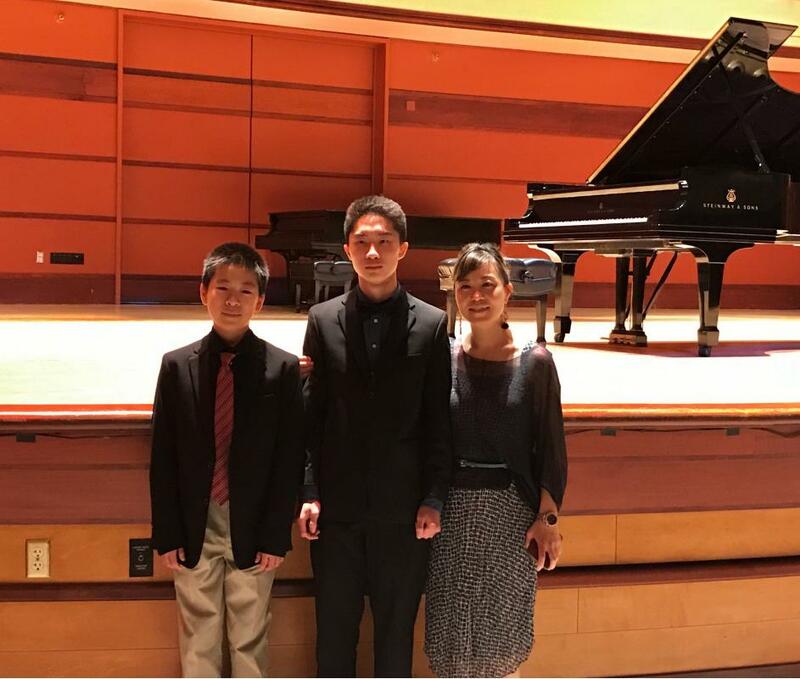 Congratulations to Cynthia Dong, the 1st Prize winner and Aurora Wang, the 2nd Prize winner of the Piano Solo Festival Compeititon held at Northwestern University! 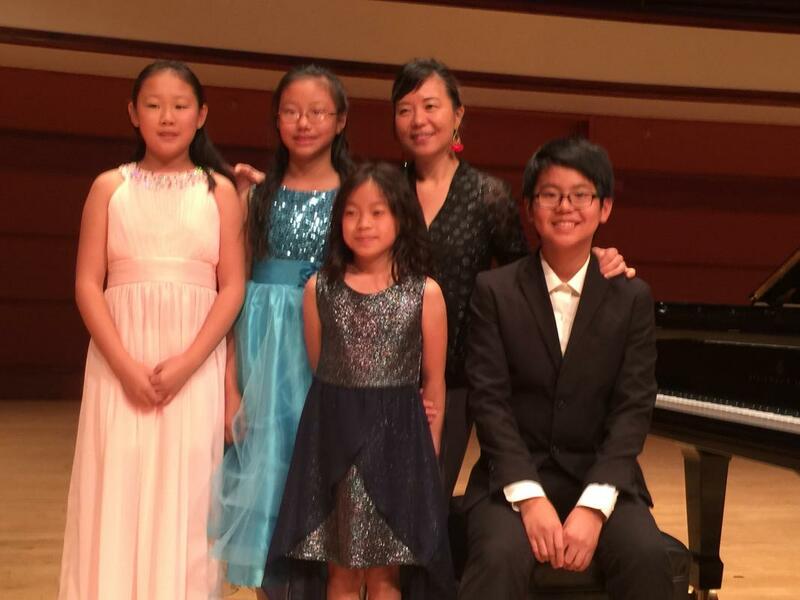 Cynthia Dong won the 1st prize of the advanced group in the Twin Cities Piano Fun Competition! 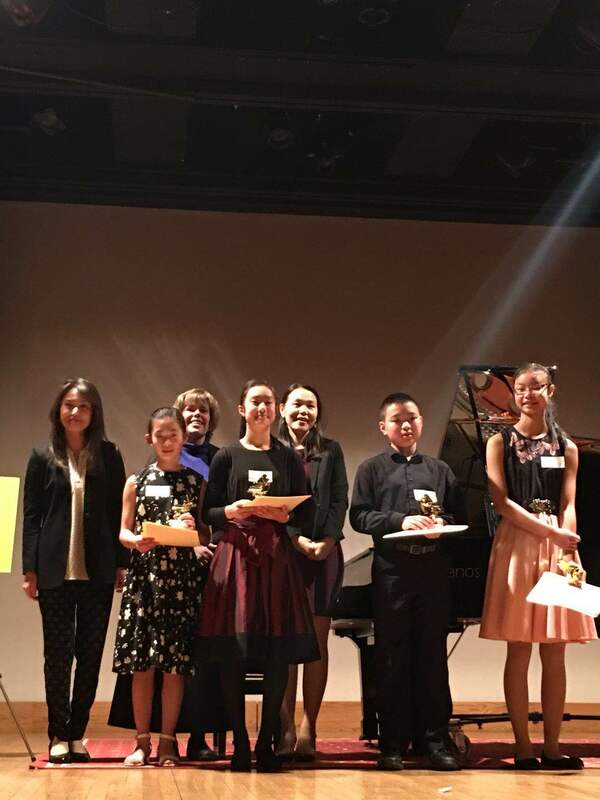 Big congratulations to Cynthia Dong(on the right)who won the 1st prize of the advanced group in the Piano Fun competition on Feb. 25 of 2018. 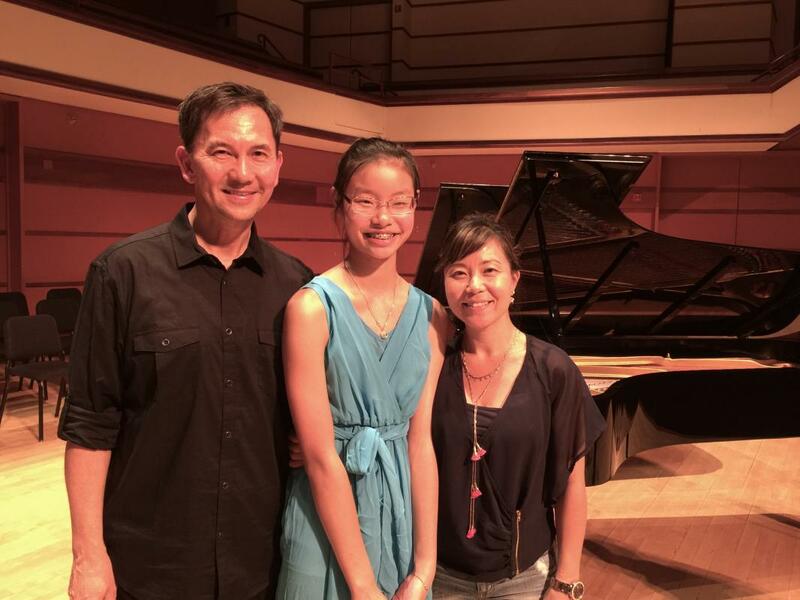 On the same day she is also one of the finalists of the MMTA Junior Young Artist Competition. 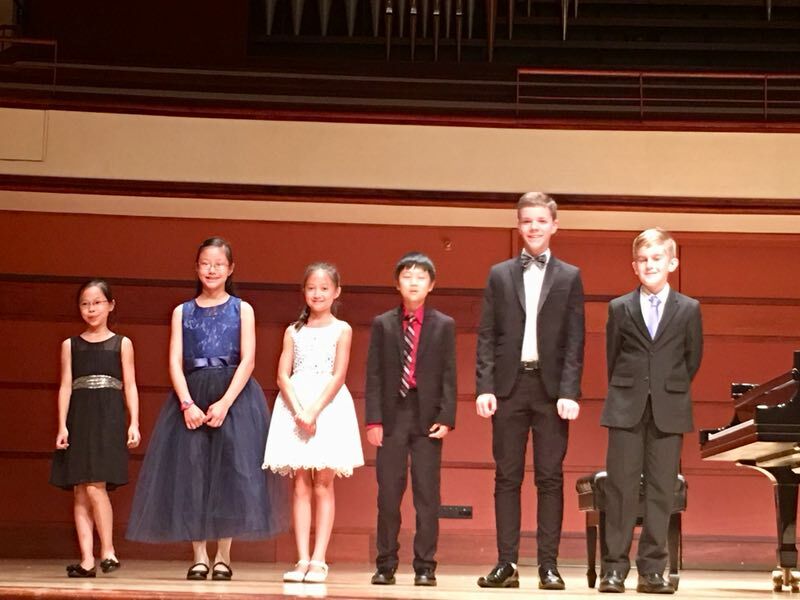 Aurora Wang Won the SPPTA Concerto Competition in Feb. 2018! 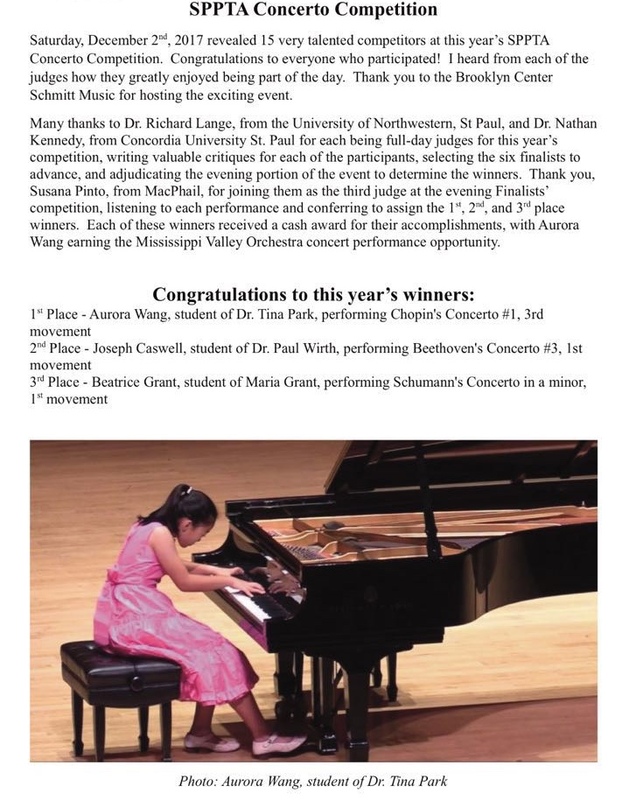 This Feb. Aurora won the St. Paul Piano Teacher Association Concerto Competition with Chopin Concerto No. 1 3rd mov. 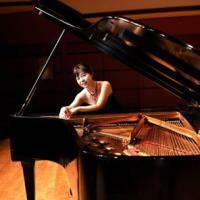 She will be playing with the Mississippi Valley Orchestra on May 6th at 3pm at Augustana Lutheran Church in St. Paul. Please go to the performance to support this very talented and hard working girl! 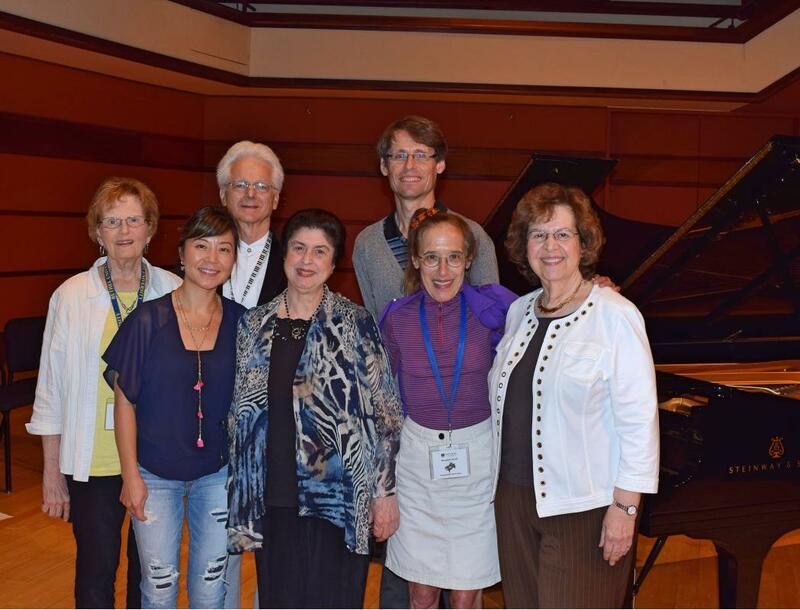 YOUNG ARTIST WORLD PIANO FESTIVAL 2019 will be held on July 13-22 at Bethel University. Registration details will follow. Some pictures from the 2017 and 2018 festival! 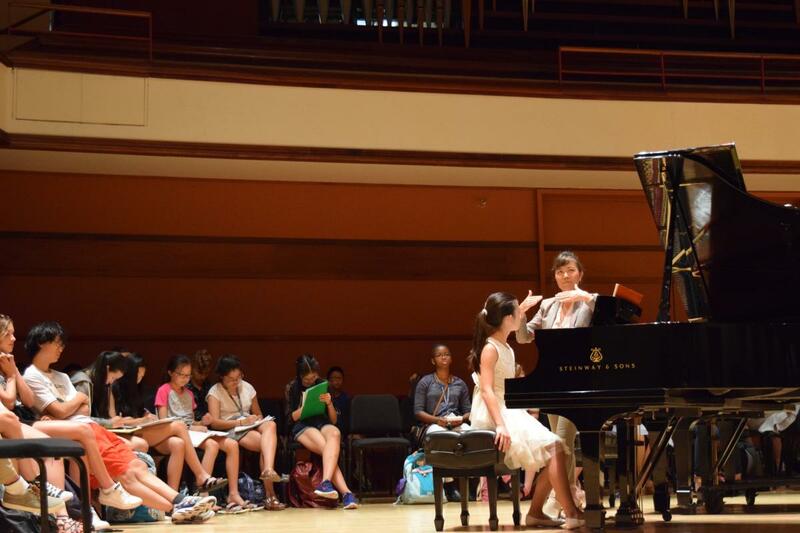 Aurora Wang won the Mozart Concerto Competition again! 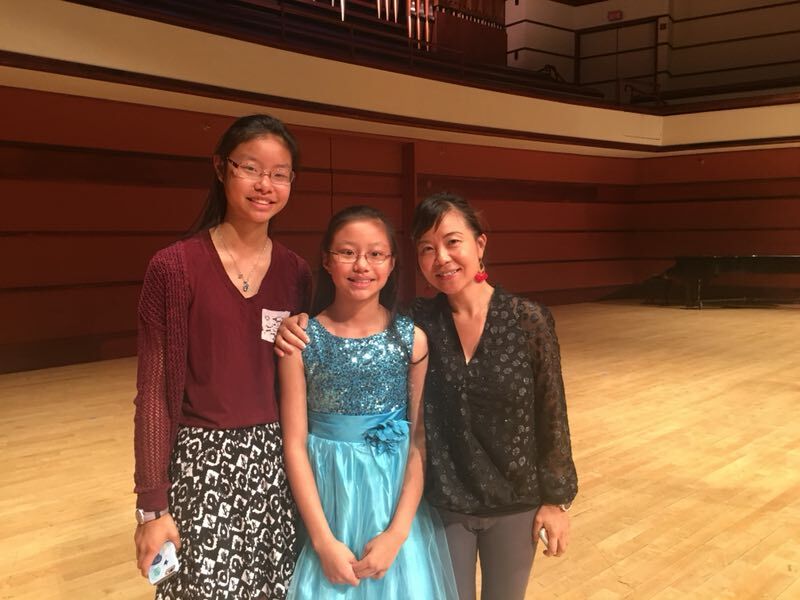 Aurora Wang won the MMTF Mozart Concerto Competition! 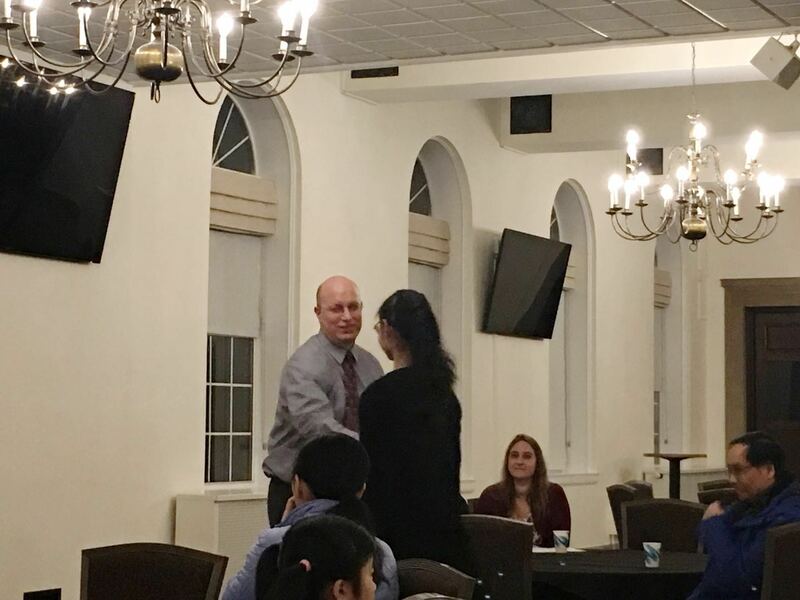 Aurora Wang's winning of the MMTF Mozart Concerto Competition in Jan gained her valuable experience of performing with Mississippi Valley Orchestra for the 1st time. 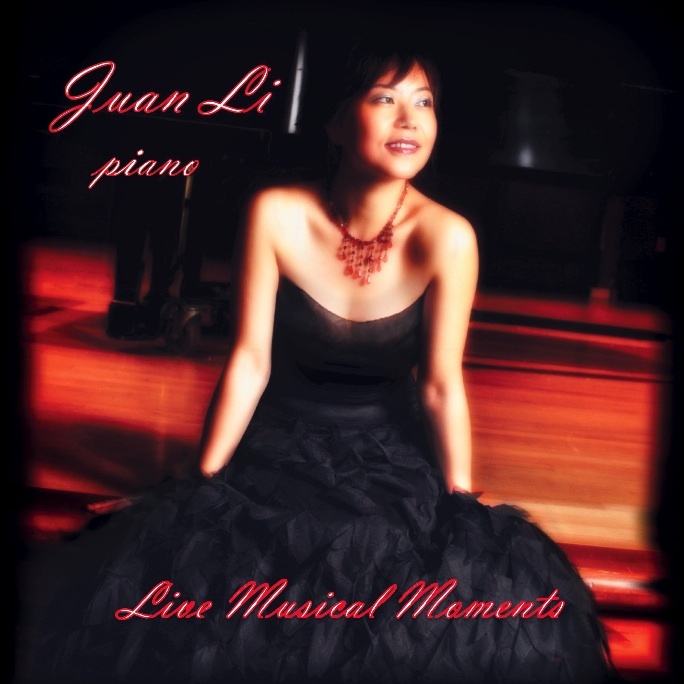 New release of my CD "Live Musical Moments" features all pieces from live concert performances. It is now available to purchase! Please contact me at juanli8@yahoo.com for details.